ATN Odin-32DW 2X 60Hz Weapon Sight Kit. Compact, lightweight thermal imaging... hand-held, weapon-mounted or head-mounted! Versatility, usability and durability matched with latest in miniature thermal sensor technology. 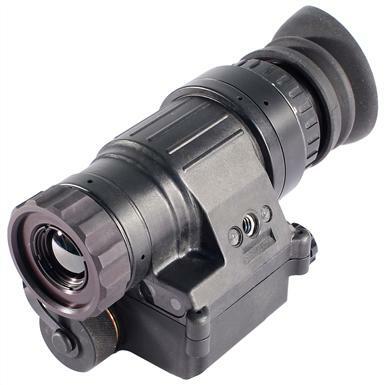 The Odin-32DW is one of the smallest Thermal Imaging Monocular Systems you can find. But while it's extremely small in size and lightweight, it's military tough and packed with performance. The color OLED display provides a superior, stable image and an icon-based digital menu means easy, intuitive use on the fly! 12 ozs. 3.4 x 2.2 x 1.95".